Jeff Smith’s 13F portfolio value decreased from $3.96B to $3.90B this quarter. Symantec Corporation was added and RPM International doubled during the quarter. 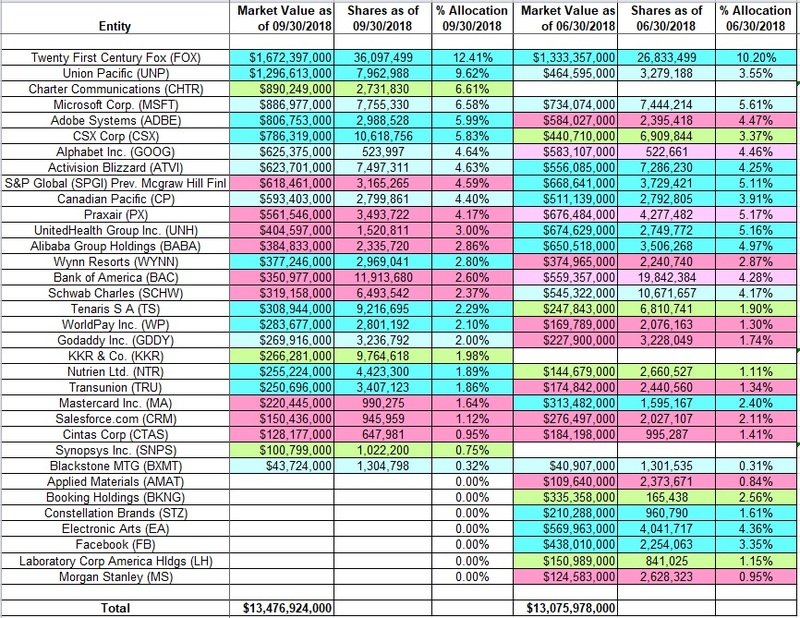 The largest three individual stock positions are Perrigo plc (PRGO), Marvell Technology (MRVL), and Advanced Auto Parts (AAP) and they add up to ~44% of the portfolio. Jeff Smith’s 13F portfolio value decreased marginally from $3.96B to $3.90B this quarter. 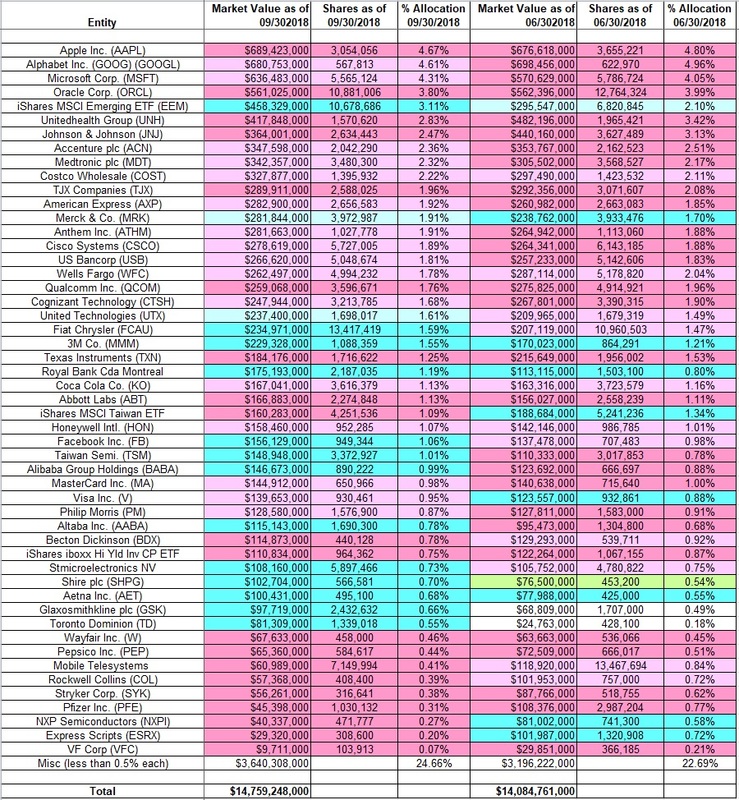 The portfolio is very concentrated with recent 13F reports showing around fifteen stakes. The top five positions are Perrigo plc (PRGO), Marvell Technology (MRVL), Advanced Auto Parts (AAP), Symantec Corporation (SYMC), and Forest City Realty (FCE.A). Philippe Laffont’s 13F portfolio value decreased from $11.90B to $9.54B this quarter. Coatue Management added Qualcomm while dropping JD.com and increasing ServiceNow and Apple. The largest three positions are Liberty Broadband, Activision Blizzard, and Microsoft and they add up to ~23% of the portfolio. Philippe Laffont’s 13F portfolio value decreased ~20% from $11.90B to $9.54B. 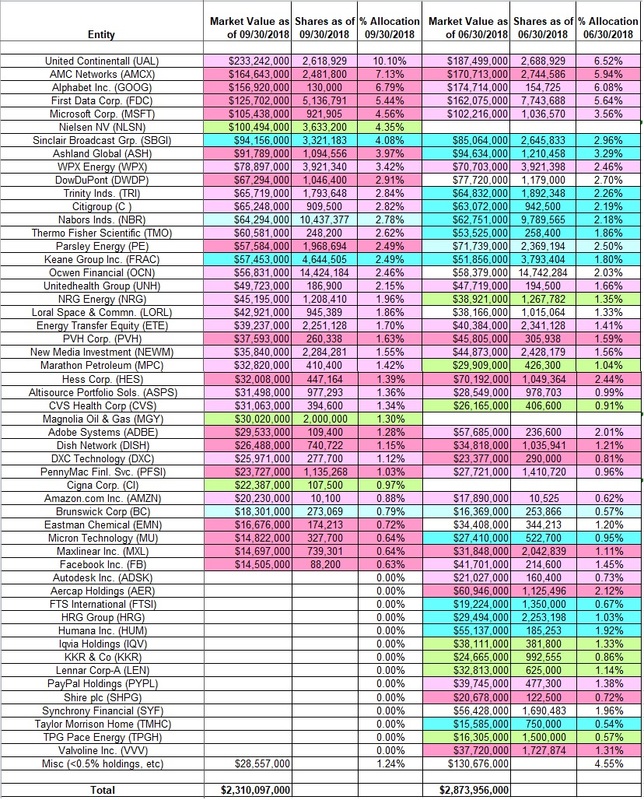 Recent 13F reports have shown a total of around 50 individual stock positions in the portfolio. 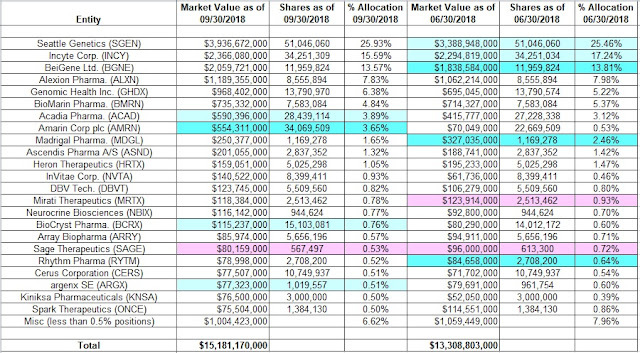 The largest five stakes are Liberty Broadband (LBRDK), Activision Blizzard (ATVI), Microsoft Corporation (MSFT), Facebook Inc. (FB), and Netflix and they add up to around ~37% of the entire portfolio. Broadcom Ltd. (AVGO): AVGO is currently a large ~5% of the portfolio position. The stake saw a ~30% increase in Q4 2017 at prices between $240 and $285. The original position was from Q2 2015 at prices between $120 and $148. The stock is now at $232. There was a ~16% trimming in Q1 2018 and another one-third selling last quarter at prices between $240 and $272. Note: Coatue also had a large position in Avago that was established in H1 2014. 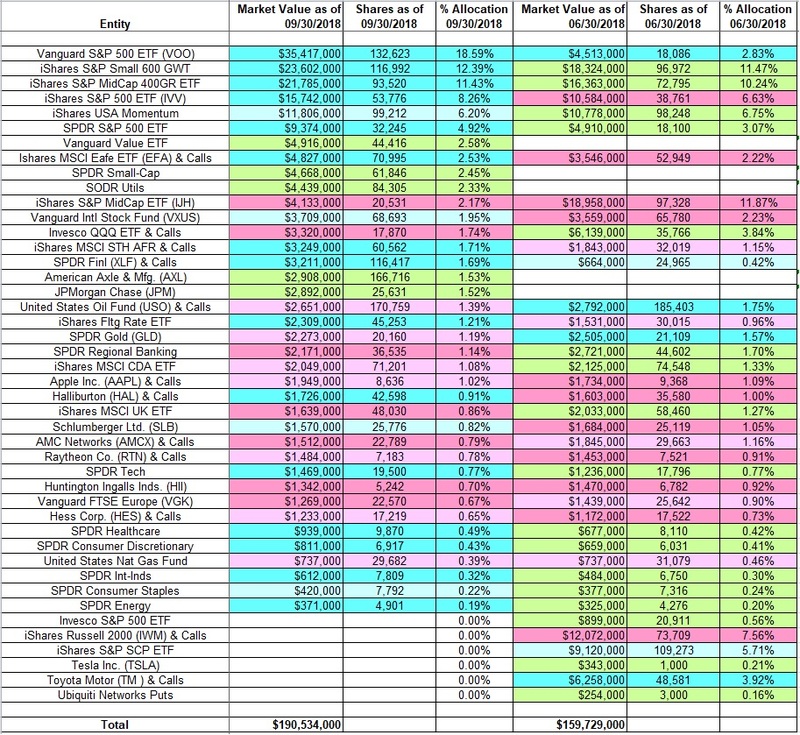 Apple Inc. (AAPL): The AAPL stake is now at ~2% of the portfolio. The original position was established in Q3 2016 at prices between $95 and $116. The following quarter saw a ~50% selling at prices between $106 and $118. Q3 2017 saw another ~150% stake increase at prices between $142 and $164. The stock is now at $177. There was a ~40% selling in Q4 2017 at prices between $153 and $178 and that was followed with a ~55% reduction next quarter at prices between $155 and $182. The remaining ~2.6% portfolio stake was almost sold out last quarter at prices between $162 and $194. The position was rebuilt this quarter at prices between $184 and $232. Note: Apple had a previous round-trip. A large ~7% long-term stake was disposed of in Q1 2016 at prices between $93 and $110. Facebook Inc. (FB): FB is a large (top five) 7.24% of the portfolio position. The original stake is from Q3 2013 at prices between $24 and $51. The four quarters thru Q2 2016 had seen a ~50% combined reduction at prices between $86 and $120. There was an about turn in Q3 2016: ~50% increase at prices between $114 and $131. The stock currently trades at $138. There was a ~25% reduction in Q4 2017 at prices between $168 and $183. H1 2018 saw a ~30% increase at prices between $152 and $202 while this quarter there was a similar reduction at prices between $160 and $218. Liberty Broadband (LBRDK): LBRDK is now the largest position at 7.64% of the portfolio. It was established in Q2 2016 at prices between $55 and $60. The stock is now at $81.91. Shopify (SHOP): SHOP is a 4.24% of the portfolio stake established in Q2 2017 at prices between $85 and $123. The stake saw a whopping 170% increase in Q4 2017 at prices between $92 and $119. The stock is now at $150. Last quarter saw a ~28% selling at prices between $117 and $173 and that was followed with a ~50% reduction this quarter at prices between $133 and $174. John Armitage’s 13F portfolio value increased from $13.08B to $13.48B this quarter. Egerton Capital added Charter Communications while dropping Electronic Arts and Facebook. Twenty First Century Fox, Union Pacific, and Charter Communications are the largest three positions in the portfolio. John Arimitage’s 13F portfolio value increased ~3% this quarter from $13.08B to $13.48B. 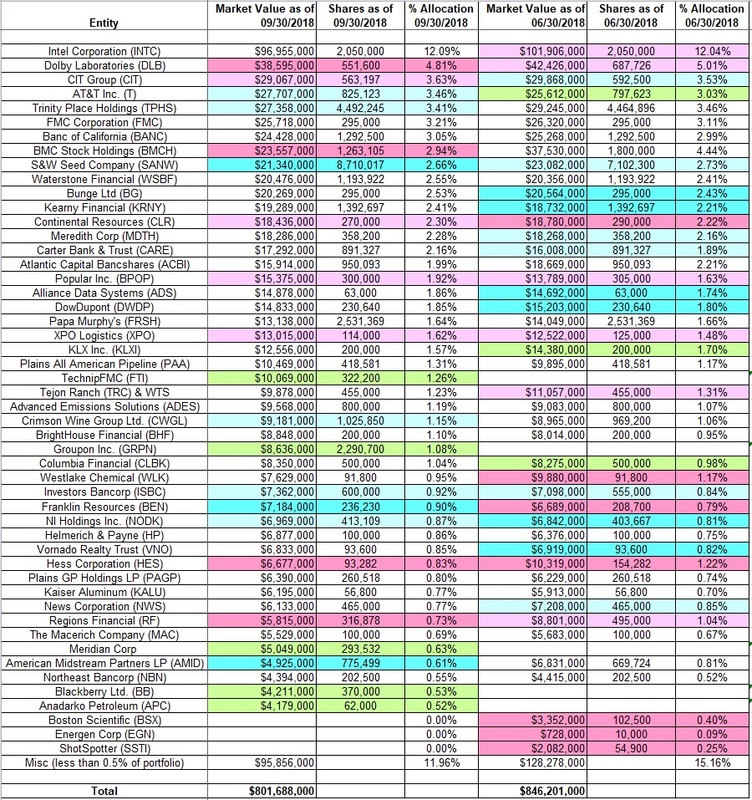 The portfolio is very concentrated with recent 13Fs listing around 30 positions. 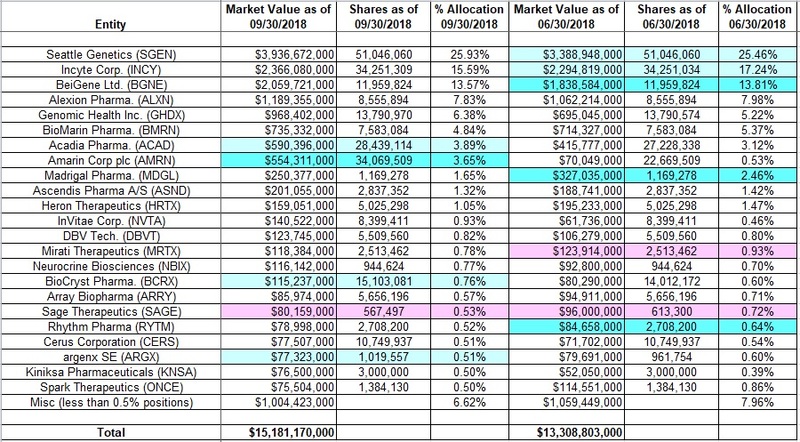 The largest five individual stock positions are Twenty First Century Fox, Union Pacific, Charter Communications, Microsoft, and Adobe Systems and they add up to ~41% of the entire portfolio. Bank of America (BAC): BAC is a 2.60% position established in Q4 2016 at prices between $15.50 and $23 and the stock is now at ~$26.99. There was ~28% stake increase in Q1 2018 at prices between $29 and $33 while this quarter saw a ~40% reduction at prices between $27.75 and $31.80. Applied Materials (AMAT): AMAT was a fairly large stake established in Q1 2017 at prices between $32 and $40 and increased by ~18% the following quarter at prices between $37.50 and $47.50. There was another ~23% increase in Q3 2017 at prices between $41 and $52. The stock currently trades at $35.43. There was a ~30% reduction in Q1 2018 at prices between $46 and $62 and another ~80% reduction last quarter at prices between $45 and $62. The disposal of the remainder ~1% portfolio stake this quarter was at prices between $38 and $50. Alphabet Inc. (GOOG): The large ~4.5% stake was established in Q4 2017 at prices between $968 and $1077 and the stock currently trades at $1051. Activision Blizzard (ATVI): ATVI is now a large ~4.5% stake. The original position was built in 2015 at prices between $19 and $39. Recent activity follow: 225% increase in Q1 2017 at prices between $37 and $50. Next two quarters saw a ~30% selling. Q4 2017 saw the pattern reverse: ~22% increase at prices between $58.50 and $67. The position was sold down by ~50% next quarter at prices between $63 and $78 while last quarter there was a ~30% increase at prices between $65 and $78. This quarter saw a marginal increase. The stock is now at $46.52. Constellation Brands (STZ): STZ was a 1.61% portfolio stake established in Q2 2016 at prices between $138 and $165 and increased by ~20% the following quarter at prices between $161 and $171. The stock is now at $191. Q4 2017 saw a ~15% reduction and that was followed with a two-thirds selling last quarter at prices between $210 and $230. There was a ~19% increase last quarter at prices between $215 and $234. The position was sold out this quarter at prices between $200 and $222. MasterCard (MA): MA was first purchased in Q2 2014 at prices between $69 and $78. The position has wavered since. Recent activity follow: there was a ~40% selling in Q4 2017 at prices between $140 and $155 and that was followed with a one-third reduction next quarter at prices between $155 and $184. Last quarter saw a ~11% increase. There was a ~40% selling this quarter at prices between $196 and $223. The stock is currently trading at ~$200. Stanley Druckenmiller’s 13F portfolio value increased ~2% from $2.07B to $2.10B this quarter. Duquesne decreased Alibaba (BABA), Splunk (SPLK), Facebook (FB), and Netflix (NFLX) during the quarter. Adobe Systems (ADBE) was doubled and iShares Biotech Index (IBB) was increased by four times during the quarter. Duquesne Family Office portfolio has 40 positions with the top three accounting for around ~42% of the portfolio. 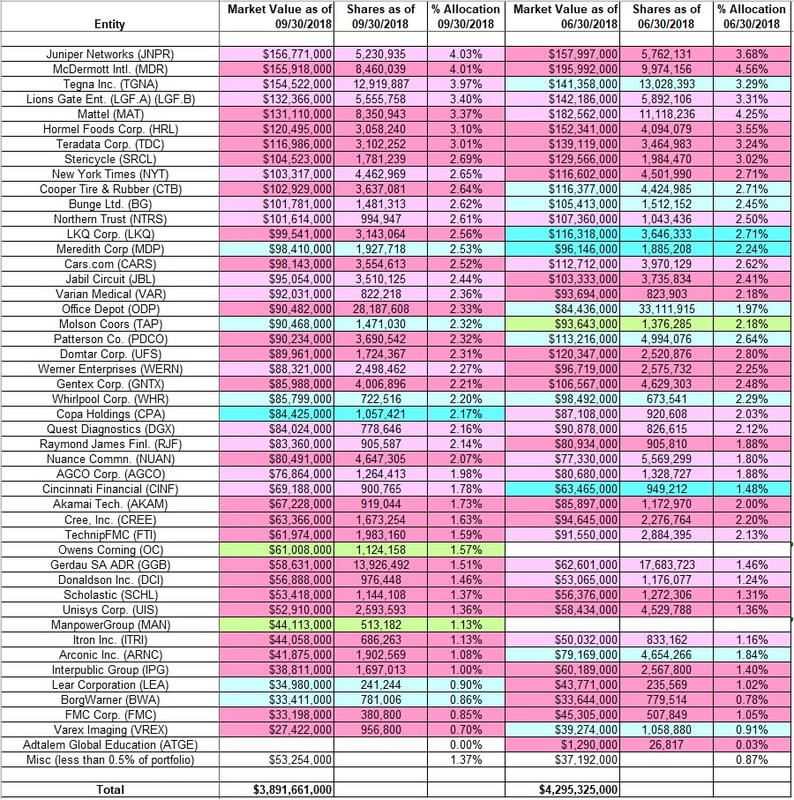 Stanley Druckenmiller’s portfolio increased ~2% this quarter from $2.07B to $2.210B. The pattern of very high turnover QoQ continued - many positions were dropped and new ones added. The nimble trading is typical of the trend-following style. To know more about Druckenmiller's trading style check out Trend Following: Learn to Make Millions in Up or Down Markets. Baker Brothers’ 13F portfolio value increased from $13.31B to $15.18B. Amarin Corp plc (AMRN) stake was increased by ~50% during the quarter. This article is part of a series that provides an ongoing analysis of the changes made to Baker Brothers’ 13F portfolio on a quarterly basis. It is based on Baker Brothers’ regulatory 13F Form filed on 11/14/2018. This quarter, Baker Brothers’ 13F portfolio increased ~14% from $13.31B to $15.18B. 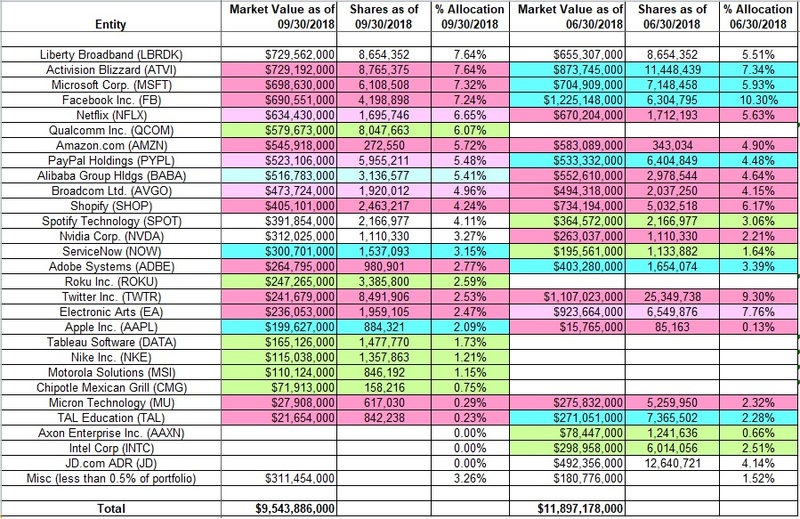 The top three holdings are at ~55% while the top five holdings are close to ~69% of the 13F assets: Seattle Genetics (SGEN), Incyte Corporation (INCY), BeiGene (BGNE), Alexion Pharmaceuticals (ALXN), and Genomic Health (GHDX). Thyra Zerhusen’s 13F portfolio value decreased from $4.30B to $3.89B this quarter. Fairpointe Capital added Owens Corning (OC) while increasing Copa Holdings (COPA) and reducing Arconic Inc. (ARNC) during the quarter. The largest three positions are Juniper Networks (JNPR), McDermott International (MDR), and Tegra Inc. (TGNA). Thyra Zerhusen’s 13F portfolio decreased ~9% from $4.30B to $3.89B this quarter. Recent 13F reports have shown a total of around 70 individual stock positions in the portfolio. 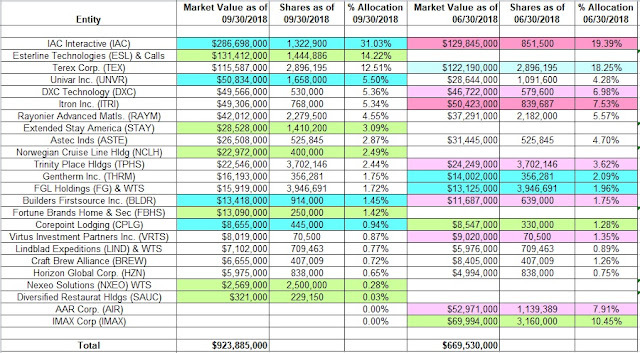 The largest five stakes are Juniper Networks (JNPR), McDermott International (MDR), Tegna Inc. (TGNA), Lions Gate Entertainment (LGF.A)(LGF.B), Mattel Inc. (MAT), and Hormel Foods (HRL), and they together add up to ~19% of the portfolio. Michael Price’s 13F portfolio value decreased ~5% from $846M to $802M this quarter. MFP Investors increased S&W Seed Company (SANW) while reducing Dolby Laboratories (DLB) and BMC Stock Holdings (BMCH). The largest three individual stock positions are Intel Corporation (INTC), Dolby Laboratories (DLB), & CIT Group (CIT), and they add up to ~21% of the portfolio. Michael Price’s 13F portfolio value decreased ~5% from $846M to $802M this quarter. The portfolio is diversified with recent 13F reports showing well over 100 individual stock positions. The top five stakes are Intel Corporation (INTC), Dolby Laboratories (DLB), CIT Group (CIT), AT&T Inc. (T), and Trinity Place Holdings (TPHS) and they add up to ~27% of the 13F portfolio. The huge ~$26B portfolio has just 17 positions. 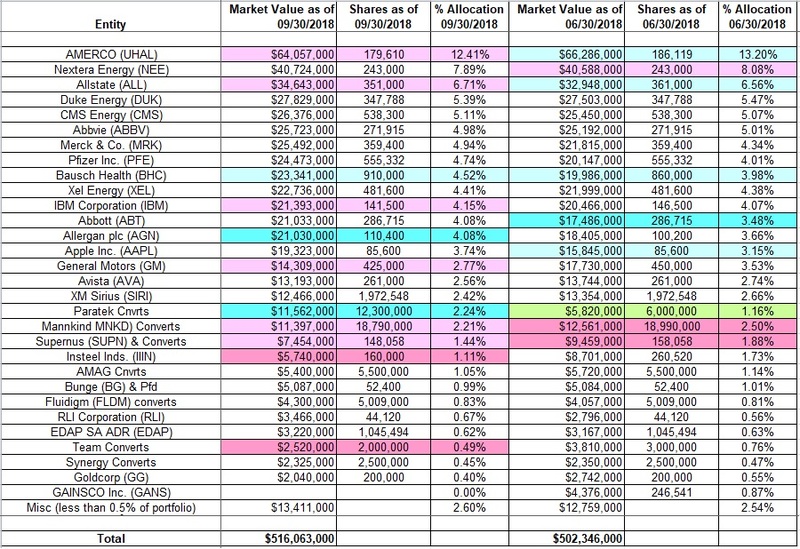 The largest position, Berkshire Hathaway is at a whopping ~52% of the portfolio. This quarter saw a 25% reduction in the Microsoft Corporation stake. Gates Foundation portfolio value increased this quarter from $22.11B to $25.82B. Over the years, the portfolio has become extremely concentrated. 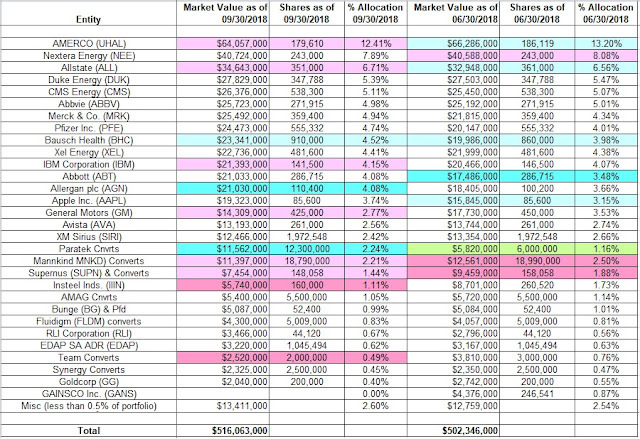 In their first 13F filing in 2002, they had about 27 positions and the total portfolio value was ~$1.8B. Currently, the portfolio is well over ten times that while the number of positions has gone down to just 17. Berkshire Hathaway (BRK.B): BRK.B is by far the largest stake at ~52% of the portfolio. The original position is from Q3 2006 at a cost-basis in the mid-60s. The size of the stake peaked at ~87M shares in Q4 2012 and the current position is at ~62M shares. The stake has wavered. Q3 2017 saw a ~15% stake increase as the stock traded between $169 and $184 while the next two quarters saw ~7% reductions each. The stock currently trades at ~$210. There was a ~6% increase this quarter. Waste Management (WM): WM was a very small ~1.2M share position during their first 13F filing in Q3 2002. 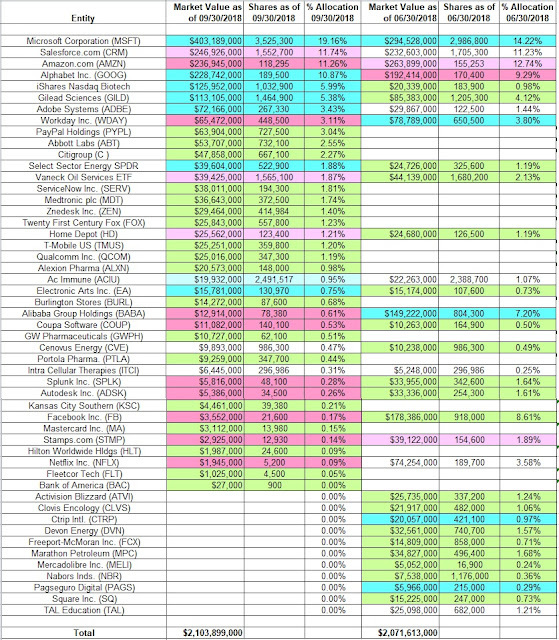 The current position is at ~18.6M shares (~7% of the portfolio). The bulk of the position is from Q3 2009 when around 8M shares were purchased at a cost-basis in the high-20s. 2010 also saw a ~3M share increase in the mid-30s. Since then, the position has been left untouched. The stock currently goes for ~$93. Canadian National Railway (CNI): CNI is the fifth-largest stake at ~6% of the portfolio. Since 2008, the position has remained remarkably steady at ~17M shares. The bulk of the stake was built during the period from 2006 to 2008 at a cost-basis in the low-20s. CNI currently trades at $82. Leon Cooperman’s 13F portfolio value decreased from $2.87B to $2.31B this quarter. Omega Advisors added Nielsen NV (NLSN) and increased Sinclair Broadcast Group (SBGI) during the quarter. United Continental (UAL), AMC Networks (AMCX), and Alphabet Inc. (GOOG) are the largest three individual stock positions. 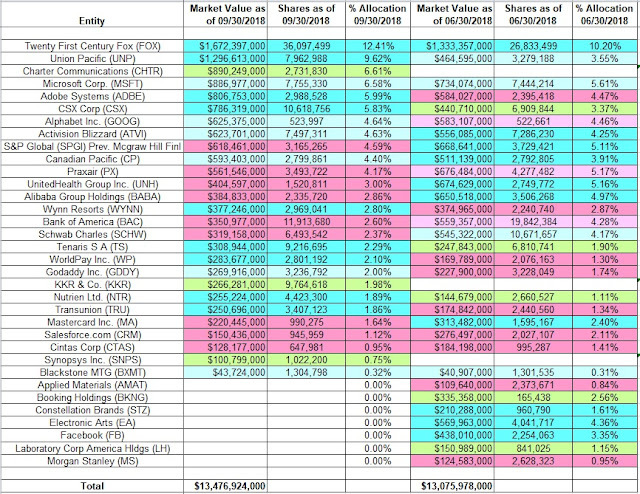 Leon Cooperman’s 13F portfolio value increased ~7% from $2.68B to $2.87B this quarter. Although the 13F report has ~70 positions, the portfolio is concentrated with the top five holdings accounting for ~28% of the entire portfolio: United Continental Holdings (UAL), Alphabet Inc. (GOOG), AMC Networks (AMCX), First Data Corporation (FDC), and Microsoft (MSFT). Note: On UAL, Cooperman said in October that the stock has doubled ($85 PPS at the time) but expects it to reach $120 in twelve to eighteen months. The stock is currently at ~$92. Alphabet Inc. (GOOG): GOOG is now the third-largest 13F positon at ~7% of the portfolio. The bulk of the original stake was purchased in Q2 & Q3 2015 at prices between $530 and $675. It had since been sold down. Q1 2017 saw a ~15% increase at prices between $787 and $852. The stock is now at $1051. There were minor reductions in the last two quarters and that was followed with a ~16% selling this quarter. DowDupont(DWDP): DWDP is a 2.91% of the 13F portfolio stake. The bulk of the position was purchased in Q1 2015 at prices between $44 and $53. Q2 2016 saw a ~10% trimming and that was followed with another ~20% selling the following quarter at prices between $48 and $54. The stock currently trades at $56.49. This quarter saw a ~11% trimming. Edward Lampert’s 13F portfolio value decreased from $407M to $299M this quarter. The portfolio remained untouched during the quarter. 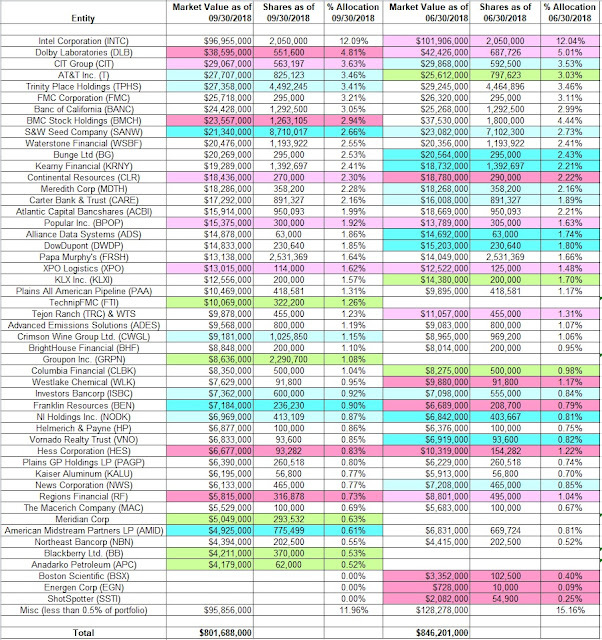 The largest three individual stock positions are AutoNation, Lands End, and Sears Holdings and they add up to ~90% of the portfolio. Edward Lampert’s 13F portfolio value decreased ~27% from $407M to $299M this quarter. 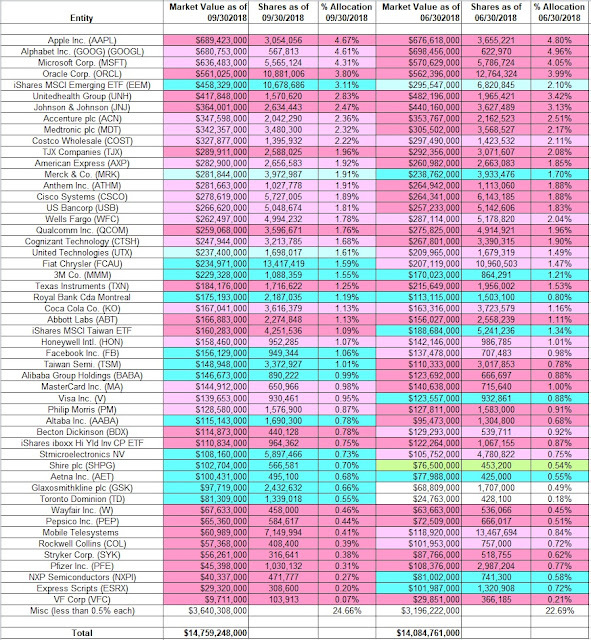 The portfolio is very concentrated with recent 13F reports showing just five stakes. The positions are AutoNation (AN), Lands’ End (LE), Sears Holdings (SHLD), Sears Hometown, and Seritage Growth Properties (SRG).